Parenting a child that has special needs is both a challenge and a blessing, all wrapped up into one. Often parents end up being faced with big challenges, emotions they didn’t expect, and many, many doctor’s visits. Today there are many kids that have special needs, including chronic diseases, hearing impaired, visually impaired, autism, developmental delays, learning disabilities, sensory issues, and even mental health issues. 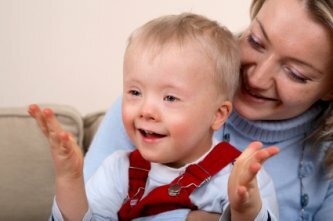 If you are a parent of a child that has special needs, you need to understand you are not alone, and the more you learn, the better you will be able to cope with the unique challenges that are going to come your way. For those that are dealing with a child who has special needs, dealing with the emotions that come along with this can be difficult. There are many emotions that can crop up in a parents heart throughout the life of their child. Sometimes there are feelings of anger towards medical professionals or even yourself. Many parents go through periods when they feel depressed and isolated, feeling that no one understands all that they are going through as a parent. Often when in public, others have cruel things to say about the child, which can be so hurtful to the parent. Meeting the child’s needs and the financial needs can be difficult as well, leading to feelings of frustration and hopelessness. There are many fears a parent goes through as well. No doubt you feel fear over their future, their safety, and more. Dealing with these emotions can be very hard, and in some cases seeing a professional may be an excellent idea. Having these emotions doesn’t mean you are weak. They are totally normal, and you may need some help as parents to deal with all these emotions. The Importance of a Support SystemIf you are a parent of a special needs child, having a support system is so important. Finding a good support system can help you to go forward in your life and can better equip you to be a good parent in this situation. Getting involved in a support group for families of children with special needs is a great idea. There are many great discussion groups online that you can join as well. Having the support of your family can be helpful as well. Make sure you have a great medical team that is supportive, and a good therapist may be a great addition to the support system too. As the parent of a child with special needs, it’s so important that you find balance in your life. Often it is easy to get so wrapped up in your child’s life that you forget to live your own. Yes, time and concern for your child is important, but you must find a balance in your life or you will crumble under the pressure. Take time out to enjoy social activities with others. Spend time doing activities as a family. Get a baby sitter from time to time so you can get out of the home. Find time to exercise and get rid of some steam. Ensure that you and your spouse are getting time alone together as well. It’s important that you continue to nurture your relationship with your spouse. Many parents of special needs children forget this. Remember, your spouse is going to be your biggest ally, so you need to take time to keep your relationship vibrant. Education is ImperativeEducation is imperative. Often becoming educated about the problems your child is dealing with will really help to alleviate your fears. This takes away much of the fear of the unknown. Make it your business to find out everything that you can about the needs your child has and the problems that they are dealing with. Becoming educated will help you to be a better help to your child and will help you to make sure they get the best health care necessary as well. You can easily talk to your child’s doctors and spend time researching online for the educational information you seek. Loving your child no doubt comes naturally. However, in loving your child, it’s important that you love them for the person that he or she is. Accept your child, look at the things your child has, and recognize what a fighter your child is. Show your child unconditional love every single day. Often it is love that is truly the best medicine for your child and for you. Instead of focusing on the future and its’ uncertainty for your child, work on focusing on each day. Look at every day with your child as a blessing. Don’t live from one crisis to the next, but enjoy every single day. You can’t control all the difficulties that you are going through, but you can control the way you accept them. When you begin to take one day at a time instead of worrying about the days to come, you take away much of the stress and emotional turmoil in your life. It’s important that you remember to take care of yourself as well. Many times the parents of kids with special needs spend so much time on their child that they forget themselves. You need to remember that you cannot help your child if you are not at your best. You need to take care of your health, take time out to recharge, and you need to do all this without feeling guilty.